Create Rooms With Just 1 or 2 Room Dividers And Save Some Dough! 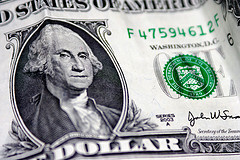 In today’s economy, everyone is looking for the best quality product at the lowest cost. If you are looking to create one, two or even three rooms in your facility, but the budget is tight, Screenflex can help you select what you need, at a price you can afford. In most facilities, our customers realize that Screenflex Room Dividers can be used in so many ways. Your divider can be rolled simply from one task to another. Perhaps you want to set up a couple of rooms for Awana in the evening, and then maybe divide space in a large room to provide an extra classroom the following day. You might divide and create two rooms, one for a yoga class, and the other for a woman’s group the next day. Whatever the task, these dividers set up and store in seconds. Let’s face it, room dividers are the best solution to temporarily dividing space. Portable walls help you organize your space in ways you never imagined. And using a movable room divider as an alternative to a permanent wall is a more economical and flexible way to divide your space. Quality is in the construction of these dividers. Made with a wide steel end frame for stability and strength along with a full-length hinge for complete privacy and full support these dividers will work for you for many years. Acoustical panels absorb sound and help to block distractions. With just 1 or 2 room dividers, you can create 1, 2, 3 or even 4 divided rooms. 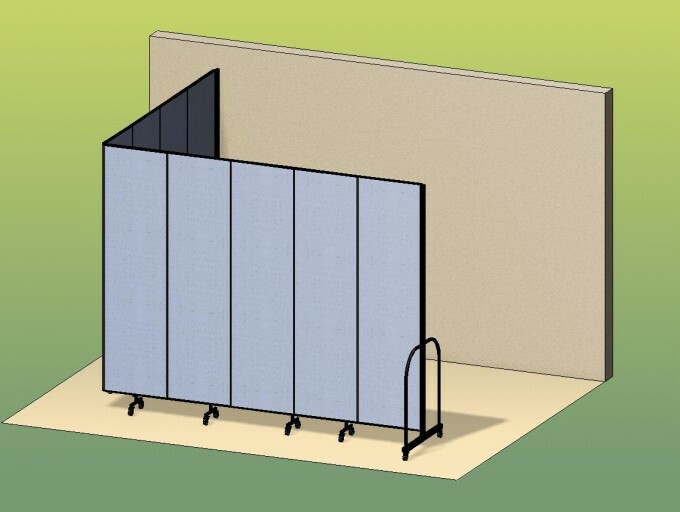 Here are some ways you can create rooms using Screenflex Room Dividers. Perfect for small meetings or classrooms. 4 classrooms with 2 room dividers! 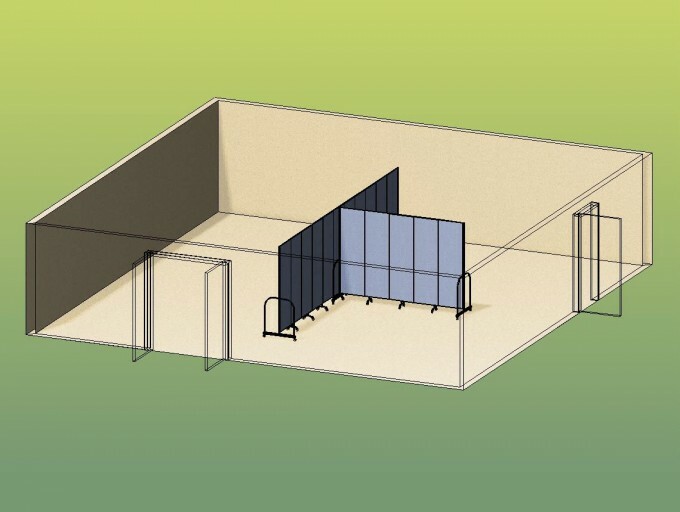 One 13 panel room divider and one 5 panel room divider creates 4 separate spaces! These are just a couple of ways you can set up your room dividers to create rooms with just 1 or 2 room dividers. There are infinite configurations with the same dividers. Your room dividers ship fully assembled and ready to use. Just remove your box and roll the dividers into place. Set up will take seconds; it’s just that easy! Contact us at 800-553-0110, by email at [email protected], on Live Chat at Screenflex.com, or by completing the Pricing Request form. Portable Furniture. Why Are We Becoming A Portable Society?